My “Bucket List” is full of daring, eventful, and inspiring activities or challenges. Traveling to Japan (where I was born!!). Meeting Nick Carter (seriously, I signed my middle school yearbook Ashley Carter because I was CONVINCED I would marry him). Participating in a flash mob. 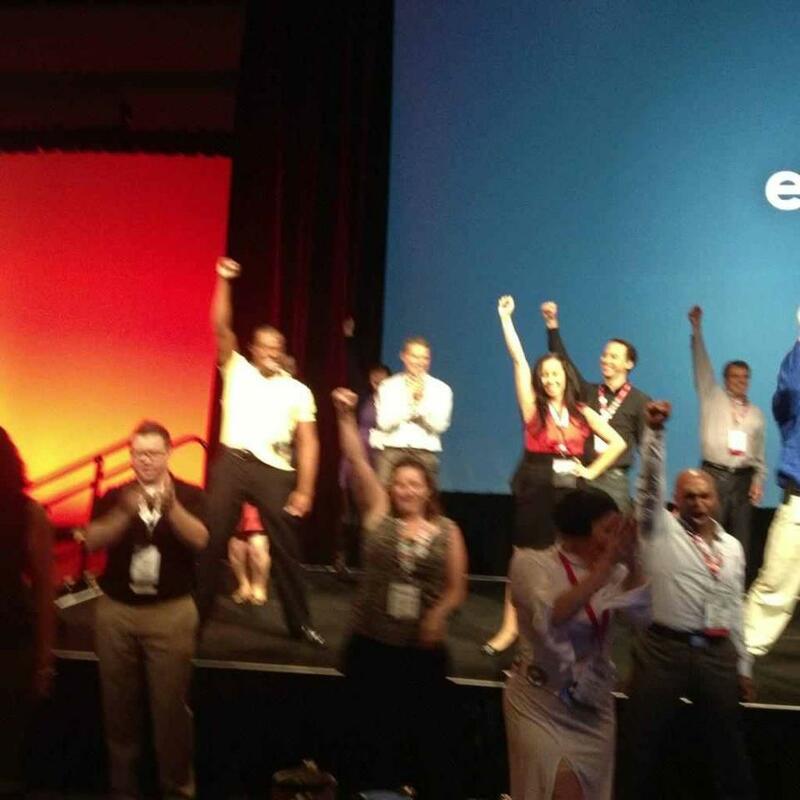 When I got an email a few weeks ago, asking if I wanted to participate in a flash mob at the Eloqua Experience ( my work conference this past week)…I was over the moon! Flash forward to Wednesday, November 7. I had mixed emotions about being in the flash mob. I know..that doesn’t sound like…but I was NOT prepared. And I’m kind of a perfectionist. They sent out a training video of the dance. I told myself I MUST practice every night the week before the conference, but in reality – I practiced ZERO times. I told my boss that I felt uneasy about the flash mob…and I seriously considered not even attending the practice session. Why are you acting like this, Ashley? You’ve always dreamed of being in a flash mob! When I opened the door to the “top secret rehearsal,” the music was playing. A few people were dancing and then eventually everyone started doing the dance. I opened the door and walked out of the room. Seconds later, I saw my new friend Lauren. “Yeah..but I have no clue what I am doing,” she said. We walked back into the room (everyone was still dancing like flippin’ rockstars!!). I found a place near the back…and just started dancing along. 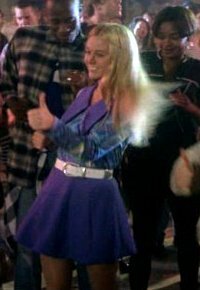 And by dancing along, I mean looking extremely awkward and doing the Marsha Brady. I had no clue what I was doing. I probably looked like a fool. I was happy with my decision to jump outside my comfort zone. Obviously, I didn’t move to group one. Alright, that’s more like it!! Group five here I come! Thankfully, group five was full of SUPER fun people. And we were all super uncoordinated, so our dance session made for even more laughs. We had an absolute blast practicing the dance. Turns out, group five was the last group to jump into the flash mob…but we were also the group that ended up on stage!! “If we smile and look like we’re having fun- that’s all that matters!” I said, thankful that my attitude and outlook had changed. After practice ended, we went our separate ways until lunch started. I thought the flash mob was on Thursday during lunch, so I promised myself that I would practice all night. Because, you know, that’s what perfectionist people do. I told myself that I wouldn’t eat lunch before the flash mob…I would wait..because I didn’t want my nerves to get the best of me! I felt pretty confident about my game plan. I was sitting at lunch with my boss and new friends when I heard “The Right Stuff” come on! OMG. Someone tell the DJ they have the wrong date! My boss started dying laughing! I looked around for our dance leader and I couldn’t find him! What if he doesn’t show up? Did he think it was tomorrow too? When do we go up on stage? I jumped out of my seat and went toward the stage. The dance went surprisingly well! And despite my anxiety about making a fool of myself or falling off the stage, I had a blast! Back row, far right (in a purple dress). Not everything in life goes by plan (a lesson I have yet to fully learn and accept). And sometimes, you’ll be forced to feel uncomfortable and vulnerable. Your nerves will go away. Your adrenaline will kick in. And you’ll love every minute of it. So whatever you’re holding back on in life…jump on it.